From the very beginning, community has been a central issue, and thus, it was only natural that the common facilities of the residence hall were highly prioritised. The objective of Nordea-fonden was clear: “Unusually good common facilities, both locally and for the entire residence hall” was their demand in the first presentation of ideas to the architects. The kitchen plays a very central role in residence hall living and as such it is important that the room is a pleasant place to be. 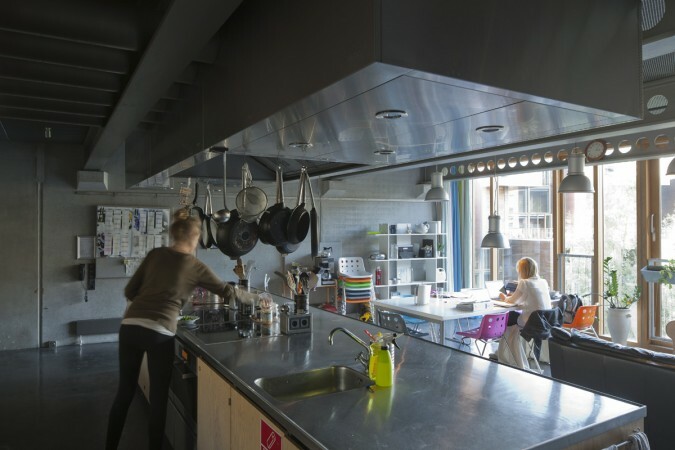 At Tietgenkollegiet, 12 residences share one of the total 30 spacious kitchens that are equipped with tableware and kitchen utensils, 4 fridges, 2 cookers and one huge cooker hood that contributes to a good indoor climate; even when all the residents of the kitchen are cooking up a storm. The residents also have individual lockers for foodstuffs or extra kitchen utensils. 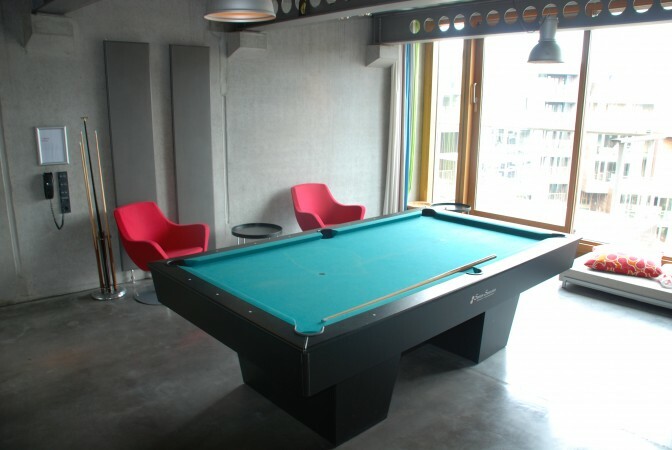 The kitchens are furnished with big dining room tables and the coloured chairs that can also be seen in other areas of the residence hall. Over time, the residents have contributed to imbuing each kitchen with its own personality by collecting sofas, armchairs, and bookcases from various sources – one particular kitchen has even gotten its own bar! Many residents have also equipped the kitchen with stereos and TV. In connection with each kitchen is a utility room with a sink where you e.g. can hang your laundry to dry. For each housing group, there is also an extra room that the residents after moving in decided to name the common rooms. 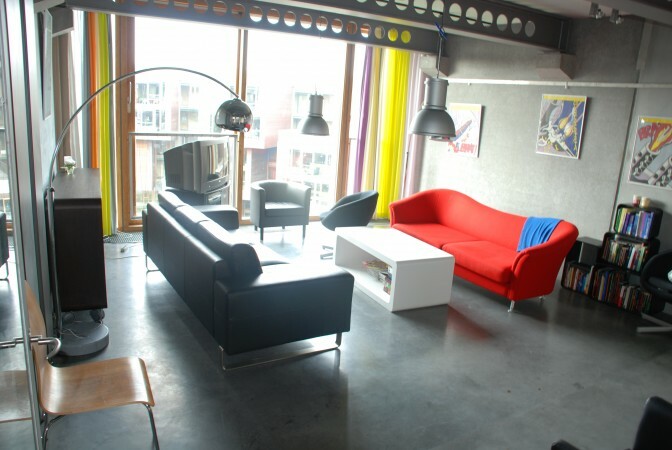 Even though the 30 common rooms are linked to a residence group, the rooms are open for all residents and thus they invite the residents to move around in other places than their own kitchen. As each room has its own theme and function, it also provides the opportunity for access to a more varied selection of facilities. 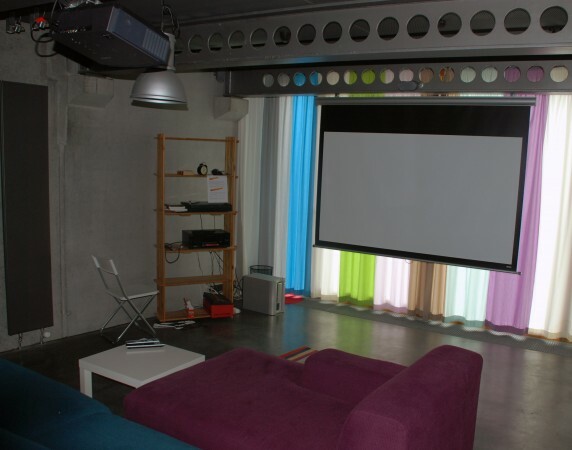 This means that you in the common rooms can find cinemas with projector and surround sound, gaming room with consol games, a board game room, pool and table football, an oriental lounge with pillows on the floors, and an English Gentleman Room with Chesterfield sofas. 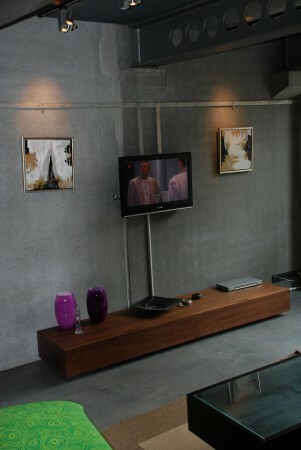 Many of the rooms are furnished with TV, sofa sets or work tables that e.g. can be used in connection with group work.